Mock Trial is off to an amazing start! Congratulations to the 15 teams who attended Washtenaw County Regional. Congratulations to the students who shared the courage it took to speak and advocate in front of each other and now share a new found appreciate for the law. Thank you to all the volunteers to make this day happen. The Michigan Center for Civic Education announces that registration is now open for high schools to register in this year’s tournament. Jordan Simon was a seemingly healthy 17-year old high school senior. He attended a well-known private high school, Spartan Academy, where he established himself as a star sprinter and was competing for an NCAA Division I University track scholarship at the time of his unexpected deadly heart attack. The autopsy revealed the steroid Erythropoietin (EPO) in his bloodstream. EPO is used medically to treat certain forms of anemia. EPO has also been known to improve athletic performance because it increases the oxygen-carrying capacity of blood. Conversely, EPO also increases the blood viscosity, which can cause the blood to clot and clog capillaries, resulting in a heart attack. At hand is the question of negligence. Jordan’s surviving parent, Kelly Simon, filed a lawsuit against Spartan Academy and the track coach claiming Spartan Academy and Terry Swift they encouraged Jordan to use steroids, should have known he was using steroids and taken steps to stop his steroid use. The coach and Spartan Academy deny Kelly Simon’s claims and contend that Jordan Simon assumed the risk of using steroids; and advance that Kelly Simon was comparatively negligent in not discovering Jordan was using steroids, and not taking steps to stop his steroid use. Explore the case and the law with your school’s Mock Trial teams. Assess for yourself who has liability for Jordan’s death. 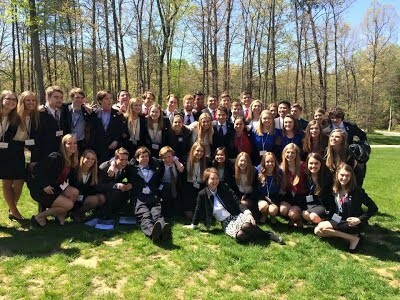 Michigan’s 2018-2019 Mock Trial was initially used by the Arkansas Bar Foundation and adapted by the South Carolina Bar High School Tournament. Thank you for your permission to adapt and bring the case to Michigan’s students. The top 10 teams will compete in the State Finals on March 23, 2019, in Lansing. Interested schools can register for the Tournament online on our MHSMTT Registration page. 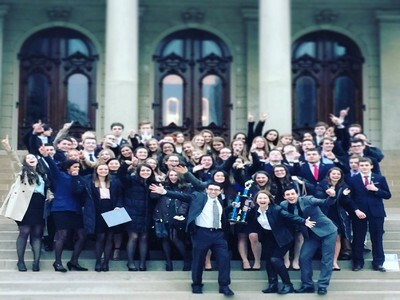 More information about the Michigan High School Mock Trial Tournament is available here. Enjoy aneveningof conversation in civic education Thursday with Dinner, keynote speakers and breakout sessions. Then stay for Friday’s high school state finalsofWe the People: The Citizen and the Constitution. 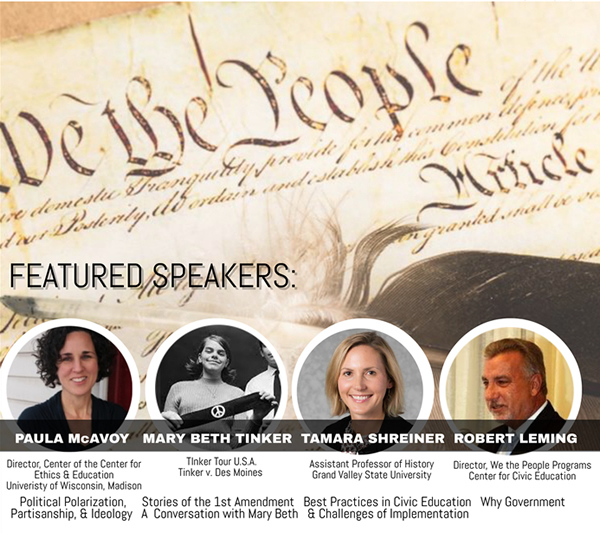 Featured Speakers include Paula McAvoy, Mary Beth Tinker, Tamara Shreiner and Robert Leming. 6:00 p.m.Dinner and Keynote speaker, Paula McAvoy, author ofThe Political Classroom. 8:30 a.m. – We the People State Finals begin. Through a learning lab, explore how simulated Congressional hearings transforms students into informed civic leaders. Your registration fee secures your seat. Enjoy dinner, discussion, and a talk with Mary Beth Tinker, plus our civic ed social. Includes complementary MCCE membership. Get ready for the MCCE Mock Trial season by registering your team for our Mock Trial Practice Clinic, scheduled for Dec. 14, 2017 at the Michigan Hall of Justice, Learning Center. Cost for registration is $10 per student. Register online no later than December 7thto participate. This year’s clinic will include a tour of the Michigan Supreme Court Learning Center and, if scheduling permits, a visit to the Michigan Supreme Court Chambers! Register Online today! 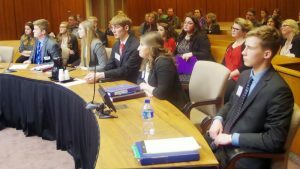 More than 600 high school students from across the state are participating in the 2017 Michigan Center for Civic Education’s (MCCE) annual Mock Trial Tournament. According to Linda Start, MCCE’s executive director, the issue this year involves allegations of excessive force by a police officer. Since 2003, the Oakland County Bar Foundation has contributed $70,000 to help sponsor the tournament. It is money well spent, said Kaveh Kashef, president of the OCBF. “We are very judicious and educated stewards with our donations. Sponsoring the Mock Trial Tournament falls squarely into our mission to bring a strong understanding of the law and the Constitution to high school students,” Kashef said. Through its sponsorship of the event, the OCBF aims to give its participants a hands-on experience in a real world setting, Kashef noted. The stature of the judiciary as it relates to the current national political dialogue has made educational events like the mock trials a priority for the OCBF, according to Kashef. To further strengthen the educational ties between the legal community and the community at-large, volunteers like Victoria King, a judicial staff attorney for the Oakland County Circuit Court, give a significant amount of their time to coach and judge the 62 teams that are registered for this year’s tournament. A former quality assurance engineer who attended law school as a working parent, King said she believes in the high schoolers’ ability to take on new challenges as they progress through the tournament. With volunteers like King and the support of the OCBF, Start said she is looking forward to the March 25th state finals in Lansing. “Volunteers act as team coaches, trial judges, and court officers. The lawyer and teacher coaches work with high school teams for several months leading up to the competition,” Start said. The Michigan Center for Civic Education seeks motivated secondary civics and government teachers looking for a student-centered, research driven ways to teach the foundations of our government, the Constitution, and Bill of Rights and contemporary applications. Twenty-five selected teachers will become the second cohort of the James Madison Legacy Project. The Project is centered around the newly updated We the People…the Citizen & the Constitution instructional materials. With the guidance of scholars and mentor teachers, participants will receive effective, student-centered, research-driven instructional practices. ● Attendance and Participation at the 2016 Summer Institute from July 18-22 at Calvin College, Grand Rapids. 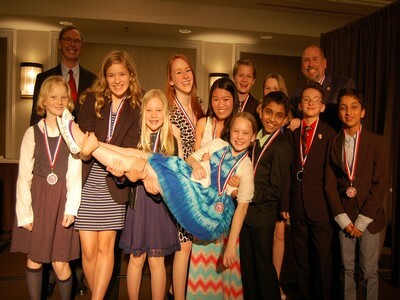 Under the guidance of teacher Keith Gall, students from Northville Montessori competed at the Third Annual We the People National Invitational April 17 – 21, 2015 on the campus of George Mason University in Fairfax, Virginia. The National Invitational takes the form of simulated congressional hearing. During the competition, students were put to the test by judges, including constitutional scholars, lawyers, and public officials, who challenged them to apply constitutional principles and historical facts to contemporary situations. The class was divided into six groups based on the six units of the We the People: The Citizen & the Constitution middle school textbook. Northville Montessori was pleased to leave with two Unit Awards—Units One and Four. The team earned the right to compete at the national level after participating at the Michigan We the People State Finals in January. While in Washington, D.C., students also had the opportunity to tour our nation’s capital and meet with members of Congress and other important dignitaries.